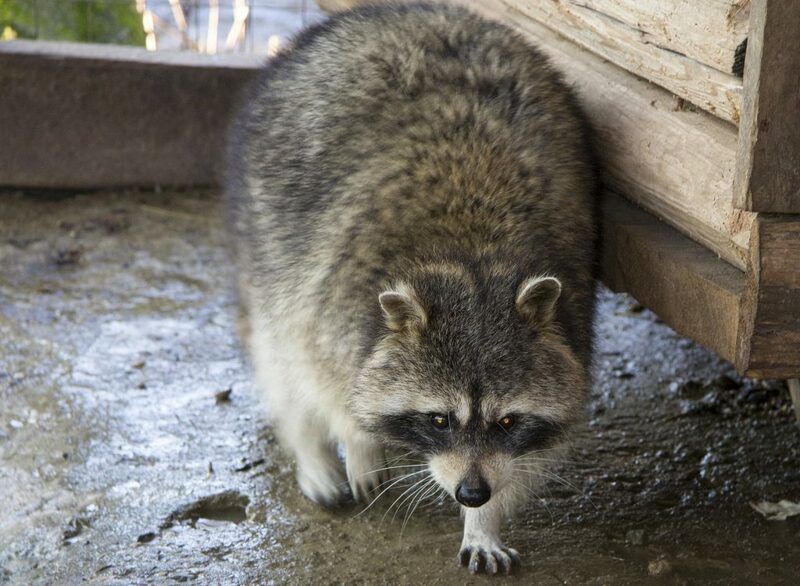 ← Spotting Raccoons on Your Roof? If raccoons are a problem in or around your property, you need a team of highly trained and licensed experts to intervene before they can! Fortunately, there is a simple and affordable solution to getting rid of raccoons in the attic or other area of your residential or commercial property here in Indianapolis. Continue reading to learn the 4 easy steps to obtaining raccoon removal and control services near you! Why Get Rid of Raccoons? Raccoons are capable of causing an extensive amount of damage to a property. Furthermore, they are known carriers of several infectious diseases, parasites, and more, making them a danger to have nearby. Once a raccoon accesses an area of a property, they immediately begin destroying and soiling it with their natural behaviors. For instance, raccoons can chew through wood beams and electrical wiring, rip down attic insulation, and saturate dry wall, sheet rock, ceilings, and other areas of a home with droppings and rotted food. If you suspect that you have raccoons inside your house, you need immediate emergency raccoon removal. If you have nuisance raccoon activity on or around your property, you will need a sophisticated raccoon control plan. Regardless of which service you require, below are the 4 steps to get started! 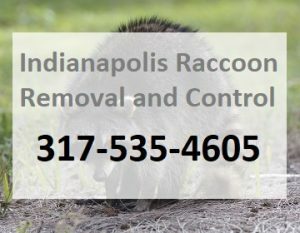 Contact a DNR licensed and insured Indianapolis Raccoon Removal Company. If there is a raccoon inside your home, first open all doors and windows and seclude yourself and your loved ones in a room away from it, then remain there until the raccoon leaves or help arrives. Request service for 24 hour emergency raccoon removal, or free estimate and information regarding raccoon control. When raccoons are becoming a problem around your property, there are several solutions you can implement to thwart such activity. Schedule a time for a licensed specialist to visit your property and implement an evaluation for their services. Most companies will provide written estimates, free of charge. Aside from the extent/condition of infestation or interference, your estimate will also include recommendations for preventative maintenance, as well as, estimates for any animal damages that need repaired. Await your scheduled appointment, and be prepared to provide payment at the time of service. Check with your raccoon removal professional for details on their payment processes. They may also offer Homeowners’ Insurance claim work, if possible. This entry was posted in Raccoon Removal and tagged 24 hour raccoon removal Indianapolis, emergency raccoon removal, get rid of raccoons Indianapolis, Indianapolis raccoon control, indianapolis raccoon removal, raccoon removal and control. Bookmark the permalink.